For anyone not intimately familiar with Romans 8 and maybe struggling with trying to understand the miracle of Christ, I can not recommend enough taking just 5 minutes out of your day and read the entire chapter right now! Rarely will I take a single verse and reflect upon it alone for risk of missing the actual meaning.God’s word is like a full course meal, each nugget and morsel of wisdom, encouragement, admonition and promise compliments each other making the whole message so much more complete and powerful and meaningful and enriching. I checked over a dozen translations, and every single one of them uses the word NOW. The sentence could have easily said “for those in Christ there is no condemnation”. I do not believe there is a single word out of place in the bible, each having its own personal meaning and enhanced by the words around it (ok, that statement doesn’t sound as profound as it felt when I typed it ha ha). My point is, how we interact with the bible can make a huge impact on what we get out of it. For me this morning, the word NOW indicates that in my old life I was surely under the weight of condemnation and without Christ we are truly all destined to a day of judgment that will affect eternity in a profoundly negative way. But that is not true for the Christian who is IN Christ Jesus, indwelled by the Holy Spirit, set free by the blood of Christ. We have the assurance of salvation (provided we endure to the end). I should have been destroyed, and I surely would have been destroyed, but by the miraculous, grace-filled compassion of Christ, NOW we who are in Christ are no longer under the weight of condemnation. That is GOOD NEWS people! I called myself a Christian my whole life, but since crossing over the line into what I can only call a “relationship” with Christ and having a tangible awareness of the Holy Spirit, I can most assuredly say I never “knew” Him, and I have little doubt that I would have been met with the words “I never knew you”. In my personal experience, shame, guilt, and even self-loathing can plague an adult survivor of child abuse. You would think the promises of God, that in Him we are new creations, can never be separated from His love, we are not forsaken, am set free by the blood (and infinitely more promises) would instantly wipe away the lies buried in the broken heart of a child. But I personally have such a hard time letting God’s love wash over me, the voice of the accuser loves to remind me who I was, find reason to claim I haven’t changed, keep my joy repressed by pointing out the harm I have done to my family in the past in my ignorance, selfishness and blindness. But God rebukes that; today, right now, right here, we the chosen who have been called by God to recognize what He has done for all mankind, we who stand in awe of His divine purpose and plan for His creation and are learning to trust, follow and worship His Holy Righteousness, we who find ourselves divinely inspired to share the Good News of Christ’s healing and hope for all, and reach across the isles to those who don’t know Jesus yet and proclaim His love for all, we find ourselves declared righteous by His works, not ours. 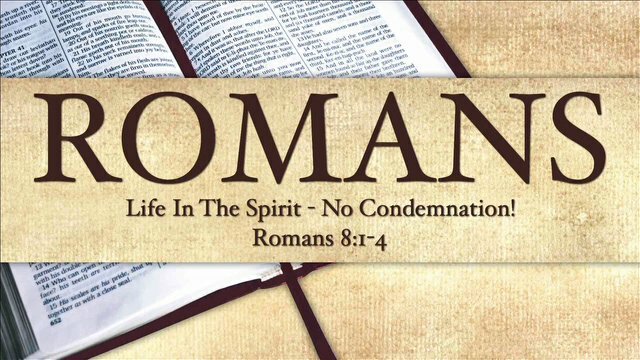 This entry was posted in encouragement, faith, hope, Jesus, love, Recovery, Salvation, The Cross, trials and tagged encouragement, God, Holy Spirit, hope, jesus, love, no condemnation, Romans 8, the Blood, The Cross, the Good News. Bookmark the permalink.